TEDxChange 2013 is a TEDx event co-organized by the Bill & Melinda Gates Foundation and TED. Convened by Melinda French Gates. TEDxChange will focus on issues surrounding global health and development. TEDxChange type events are TEDx events hosted around the live webcast of TEDxChange, and also feature local speakers. 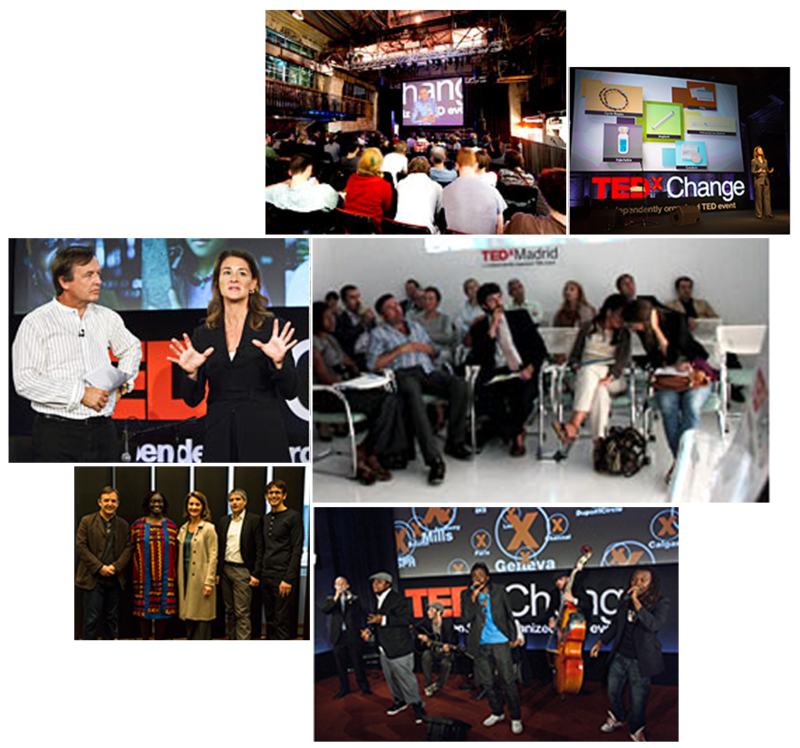 Our event is called TEDxMalibuChange, and is one of many TEDx events happening around the globe that will expand on the ideas brought up at TEDxChange 2012. TEDxChange 2013 will take place on Wednesday, April 3, 2013 at 9:00am PDT in Seattle, Washington. TEDxMalibuChange will rebroadcast the event on Sunday, April 21 in Malibu. Themed Positive Disruption, TEDxChange 2013 speakers will challenge preconceived ideas, spark discussion, engage leaders and shed light on new perspectives. But disruption can be a positive – sometimes vital – catalyst for change. It can challenge old assumptions, ignite conversations, activate authorities and expose new possibilities. Disruption can shed a unique light on difficult issues, giving a fresh urgency and perspective to the challenges of our global community. To solve the most intractable challenges in health and development, we need positive disruption. It is the path to true progress. There are only 100 tickets available. These are available at no charge by the generous support of our host. Join us for brain food, soul food and refreshments. Melinda Gates is co-chair of the Bill & Melinda Gates Foundation. Along with Bill Gates, she shapes and approves the foundation’s strategies, reviews results, and sets the overall direction of the organization. Melinda will host TEDxChange from the Gates Foundation campus in Seattle, Washington. Cathleen Kaveny is an American legal scholar and theologian. She is a John P. Murphy Foundation Professor of Law and Theology at Notre Dame Law School, and is currently a visiting professor at Princeton University. Halimatou Hima is a Masters in Public Policy candidate at the Kennedy School of Government, Harvard University. Following an internship in the Women & Population Division at the United Nations Foundation, she worked in the Child Protection Division at the United Nations in her home country of Niger (UNICEF). Roger Thurow joined the Chicago Council in January 2010 after three decades at the Wall Street Journal. For 20 years, he was a foreign correspondent based in Europe and Africa. Julie Dixon is the Deputy Director of Georgetown University’s Center for Social Impact Communication (CSIC), an academic initiative that examines the critical role of communication in fostering engagement in social change. David Fasanya is a Nigerian-American performance artist and award-winning youth poet residing in Brooklyn, NY. We will show a trailer from the feature film Revolutionary Optimists, about how children are saving lives in the slums of Calcutta. We will then invite Salim and Sikha, two of the children featured prominently in the film, to join onstage for Q&A.